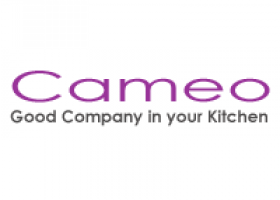 Cameo is an unusual blend of a kitchen specialist and online appliance retailer giving you the best of all worlds. We were established in 1993 and are proud that 95% of our fitted kitchen business is achieved through recommendation. Some of our staff have been in the kitchen business since the 1970s and our staff have over 70 years combined experience in kitchen design and installation.